Are you happy at your workplace? If you’re not, it’s time to have a conversation with your manager. After conducting over 5,000 exit interviews as a recruitment consultant, Kim Seeling Smith founded a company that would match the needs of the employees with the ones of the organizations. In this way, smart performers love their job and give their best, while companies manage their expectations properly as well. No more passion for your job? Find out how to rediscover it! Remember to share it with your friends and spread the passion. Moustafa: Hello everyone and welcome back to Passion Sundays, the best way to end a week and start another! Our guest today has conducted over 5,000 exit interviews and distilled the knowledge from that to helping companies retain high performance – Kim. Thank you very much for being with us today! Moustafa: I really appreciate the passion you’ve got for distilling knowledge from such a challenging experience. Moustafa: Seeing people who are on their way out and having to deal with what they’ve have to say. But you’ve had so much passion that you converted it into something positive. Kim: Yes. Well my exit interviews were actually interviews that I did as a recruitment consultant. So I interviewed people. If you think about it, as a recruiter, 5,000 people walk through my door and told me why they want to leave their managers. People join organizations but they leave managers. And what I did in 2009 I decided that I don’t want to be paid for putting bums in seats anymore, I really wanted to help organizations, specifically high-growth organizations that need smart, high performers. I really wanted to help them keep those high performers so that they could grow and their individuals, their people could thrive. So I turned the model on its head and I said ‘instead of thinking why people leave, let’s look at what they need to be fully motivated, fully engaged and to keep them, to keep hold of them, especially with the critical skills shortage that we have coming. Moustafa: That’s an interesting insight because I want to know… All these people that left… aside from the fact that they left the manager, was their passion in the job and they gave up on it because of the manager or they were never passionate about the job? Kim: Very few people think about it. Your first day of work – you’re like ‘yes, I’m starting a new job!’, there are all sorts of possibilities. They are excited about what they’re doing, who they’re working for, the team that they’re working with. Now many times the engagement really starts to go down, the motivation really starts to go down on day one. 22% of employee turnover actually curse within the 45 days of employment. And then it can just go down from there. So people are usually excited about a new job but then they are dis-motivated and it all starts to turn to custard. And even if they don’t decide to leave, the disengagement statistics are astounding in the world. We lose so much productivity by having people that aren’t able to do their best work and love doing it. Moustafa: I love it! But that’s an interesting insight that people have already broken from that within 45 days of a new job. Kim: Absolutely. Sometimes within day one! Moustafa: And then they stick just because they need the pay! Kim: Either that or it’s like ‘same thing, different day’. Any position that I go for will be the same thing so they really start to feel after a series of these that maybe this is just the way it is and it so doesn’t have to be. Moustafa: So here’s the interesting thing. I want to know about the employee side of it because you’ve interviewed 5,000 people who pretty much lost their passion. What would you advise somebody who is in a challenging job, challenging position about finding their passion in such a situation? Kim: Great question! Great question, Moustafa! What I’ve found is that the smallest things make the biggest difference. So people have a tendency. It’s in our psychological makeup to want to throw the baby out with the bathwater. So if they’ve become frustrated, if they lose their passion, they want to change everything and what I advise people to do is let’s not jump from the fire pan into the fire. Let’s take a look at what’s started, where did your frustration start from? And then let’s concentrate on fixing that. Now I could tell you stories of how people who wanted to go from completely retrain to do something else to maybe moving their desk because they were sitting under a light that was so bright that they had to wear a ball cap to work or chair that just wasn’t, you know. And these little things start to be these big needling frustrations and all of the sudden everything about our job and the environment that we work in we generalize. and it becomes such a problem. So if you’re starting to get frustrated or bored, start to look at what the root cause is and fix that. You want to go to an emotionally neutral state before making any big decisions. Moustafa: So you don’t think we should go from negative to positive. You think we should go first to neutral. Kim: Neutral and then start making the decisions that you need to make. And from a manager’s standpoint, managers would be really smart if they helped their staff do that. One of the frameworks that I teach is called the five focused conversations and that’s a monthly conversational framework that helps people, helps managers sit down and have the right conversations with their staff. And having those frequent conversations enables them to see when there’s a little bit of the state change. One of the exercises that I highly recommend is to go through that with their employees. Where did those little frustrations come from? Fix that, before the problem becomes so large that it’s irreparable. Moustafa: And if I’m talking about these conversations that managers need to have with their employees, there’s always a fine line here because what the employee wants is to be passionate about what they’re doing. What the company wants is the employee to deliver. How do we find that sweet spot? Kim: Oh, you have read my mind, Moustafa! Because I like to say that the conversations need to occur in the sweet spot, where the needs of the organizations intersect with the needs of the manager. If we think about the way that workplaces run for the last 150, 200 years it’s been a top down very hierarchical command and control one-way communication structure. And that just doesn’t work anymore because we’re employing people’s brains, not their hands in the majority of situations. So it’s no longer just the needs of the organizations. The needs of the organizations are critical, absolutely because without the organization there would be no opportunity for employment. But they have to be matched with the needs of the individual. And that’s where those currencies of choice come from, that’s where the 5,000 exit interviews come from so we have to be able to understand what it is that is their high priority and then either deliver that or manage their expectations when we can’t. Because we can’t be all things to all people. But we have to use this conversational frameworks to get inside their minds and figure out what it is that’s important and then talk about it. In both of those areas. Moustafa: I mean, I’m obviously listening to this conversation with two hats. One if I was an employer but, more importantly, if myself was having frustrations because it’s about taking ownership. Moustafa: Say, if my company is unable to have these conversations with me, I’d initiate these conversations, be a leader in my own rights and create that following within. Moustafa: People point too much fingers on the company to find their passion. Moustafa: But I’d be passionate enough to do that. Kim: Absolutely! So you’re right on target. As an employee, you want to take the lead, you want to make sure that your manager sits down with you and has the conversations around, gives you feedback, lets you have the opportunity to have your say. That you’re certain and clear about what you’re expected. Not to do but to achieve and how that success is measured. You want some advice in career management and how can you identify opportunities that you might not see that they could. How do you stay motivated? And how do you play to your strengths? These are the five focus conversations that are just absolutely critical and if your managers aren’t having those with you, then you take control, you take the lead and you have it with them. Moustafa: I love that! Take control, take lead of your passion! Moustafa: Ok, that’s been a phenomenal interview. Moustafa: Thank you very much! I love it! Moustafa: What do you think? I would love to hear your opinion. If you found this episode useful about learning what not to do in a company to lose employees or lose your job, then do write your comments on the blog below or share it with your friends. And if you’d like more tools, tips, techniques and exclusive interviews that I only share on my website, go to Moustafa.com. 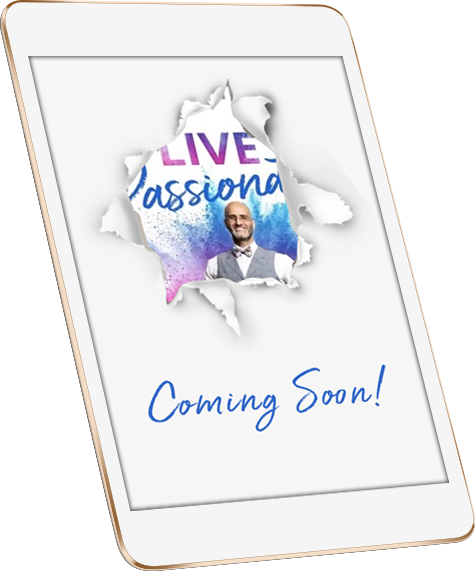 Until next episode, live passionately!